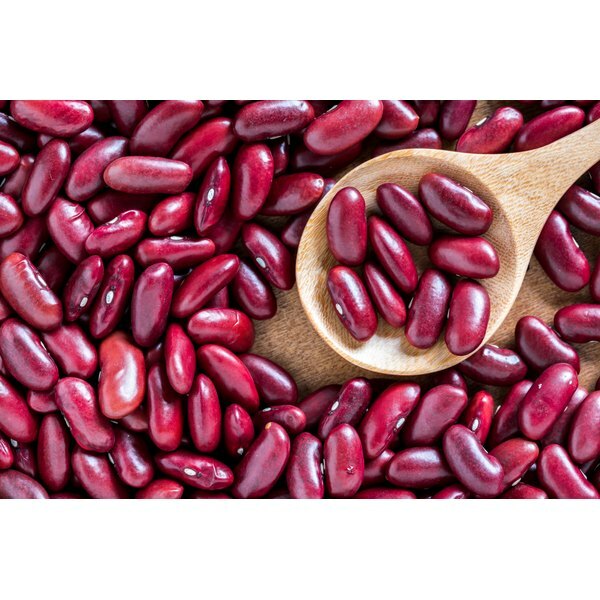 What Are the Health Benefits of Kidney Beans? Are Kidney Beans Bad for a Diabetic? Does Fiber Help You Go to the Bathroom? During your pregnancy, you'll likely find yourself wondering frequently what you should be eating. Some foods are very healthy -- especially during pregnancy -- and you should eat more of them. Others are safe if you're not pregnant, but may be unsafe during pregnancy. Kidney beans are one example of a very healthy food that you may wish to eat more of during pregnancy, for a variety of reasons. One of the reasons you -- and likely your doctor -- are so concerned about what you eat during pregnancy is that you're providing for your own nutritional needs in addition to those of your growing baby. As your baby grows and develops, it needs sources of vitamins, minerals and protein in addition to fats and carbohydrates. Your body also needs nutrient support, because it's stressful on some of your organs and systems to provide for the needs of another human being. Healthy foods rich in nutrients help provide for your needs and your baby's. According to Dr. Miriam Stoppard in her book "Conception, Pregnancy and Birth," the best foods during pregnancy are the ones with high levels of nutrients relative to their caloric content. This is because while your nutrient needs -- particularly your needs for certain vitamins and minerals -- increase dramatically during pregnancy, your caloric needs increase only slightly. Kidney beans are an excellent food during pregnancy because they contain low-fat protein and carbohydrates. In addition to the protein in kidney beans -- which your baby uses to build new cells and to grow -- the beans also provide you both with two other important components of diet. Kidney beans are high in fiber, which helps your pregnant digestive tract function optimally. During pregnancy, explain Heidi Murkoff and Sharon Mazel in their book "What To Expect When You're Expecting," hormones slow your digestive function and can lead to constipation. High-fiber foods like kidney beans help speed digestive function and keep your bowels regular. Kidney beans are also high in iron, which you need plenty of during pregnancy. One consideration with regard to kidney beans is that because they're high in fiber, they can give some people intestinal gas and cramping. This is especially true during pregnancy, when your digestive tract is slower than usual, which gives bacteria in the large intestine even more time than they'd normally have to process the fiber in the beans and produce gas. If you find that kidney beans give you digestive upset or gas, try reducing the quantity that you eat at once -- typically, your body becomes accustomed to fiber over time, and it will adjust.